What effect would it have on history if a monarch wasn’t really who we thought they were. The legend that Elizabeth I was not a man has come back to perhaps haunt the English as the United States government tries to find a way to prevent the release of the Lockerbie bomber. It could spell the end to the Irish troubles but not in a way that they English would accept. Thrust into the middle of the battle between the CIA and MI6 are Cotton Malone and his son, Gary. 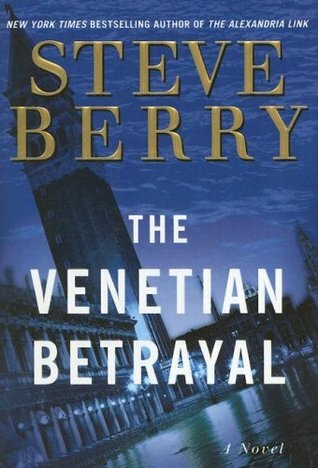 A CIA agent with malice in his heart is after Gary while trying to track down the source of the rumors and legends. Cotton is hard pressed to know who is on his side. As the operation runs all over the British Isle Cotton has to keep track of the players and keep his son safe. Did I enjoy it? Yes I enjoy the combination of historical fact and fiction. What is with the title of the review? Cotton and another bookseller talk about a 1910 Bram Stoker non fiction book titled Famous Impostors. I requested a copy from another library so I could read it. In 1971 Forrest Malone, Cotton’s father, and 10 other men disappeared on a top secret mission for the US Navy. Now Cotton finds out that the Navy lied about the disappearance and covered up what happened. When he gets a file from the Department of Defense about the incident it brings him into conflict with a corrupt Admiral, who is angling to be on the Joint Chiefs then Vice President then President. As he pursues leads it leads him to a German family that has been chasing the First Civilization for generations. As the action travels around the world travelling from Denmark to Germany to the United States to Antarctica Cotton is unsure of whom he can trust in any agency or administration or the family he is supposed to be working with. 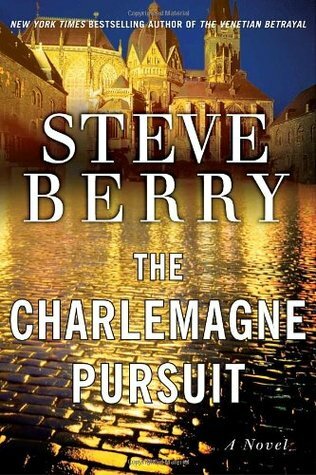 As they follow clues left by those surrounding Charlemagne it leads through time and all over the planet until Cotton comes to find out what actually happened to his father and brings some closure to his life but increases his bitterness against the US Navy. Did I enjoy it? 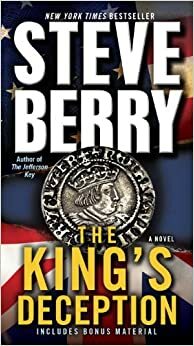 Yes I have enjoyed every book by Steve Berry that I have read I really enjoy the combination of history, science and technology that he combines in each thriller. There is also a cameo by one of Brad Thor’s character in the novel. What is with the title of the review? After each of his stories Steve Berry details what is true and what he made up. Only one man knows the location of the ancient Library of Alexandria, repository of much of the knowledge of the ancient world. Only one man, Cotton Malone, knows where that other man is. To force Cotton to reveal what he knows his son Gary is kidnapped and held to force Cotton to find the link to the library. The action moves all over the world, involves the British, the Americans, Israel and Saudi Arabia, the executive branch of the American government and all sorts of duplicitous behavior by almost everyone involved. A economic cartel that has existed for hundreds of years wants to find certain documents with in the library that would wreak havoc on the world’s religions and create chaos. Cotton relies on his allies foreign and domestic to rescue his son and to keep the knowledge within the library from being used for nefarious purposes. Did I enjoy it? 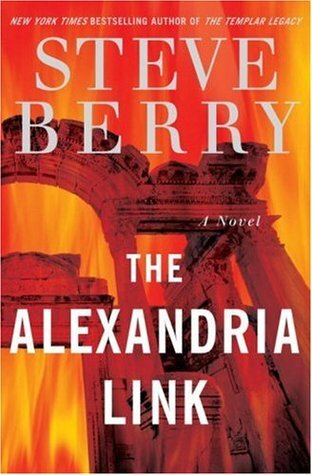 Steve Berry deftly weaves together history, intrigue and deception to craft a thriller that could well be taking place as you read this. I really enjoy the weaving of real history into the narrative. Murder, intrigue, corruption, lies, and more in this thriller taking place at the highest levels of the Catholic church. Steve Berry has packed his story with lots of historical facts and then speculated about what those facts mean. Starting with the appearance of the Virgin Mary to three children at Fatima in Portugal in 1917. The Virgin reportedly told the children three secrets which two of were well known. The third was divulged by the Pope in 2000. However as with any secret there is always controversy with many saying the church did not reveal the actual secret. Papal Secretary Colin Michner is sent all over Europe looking for the Priest who did the original transcription of the third secret, meanwhile an ambitious Cardinal who wants to be the next Pope is scheming to prevent Father Michner from finding the secret and revealing it. Did I enjoy it? Yes, this is one of my favorite kinds of books, one that takes historical fact and tweaks it just a little and then speculates What if? What is with the title of the review? The supposed revelation of God presented as the third secret reveals God’s problems with the church and is something that most of society today would be glad to hear and would completely challenge what many people of Christian faith believe. Cotton Malone, bookstore owner in Copenhagen, gets sucked back into the world of government covert affairs. The action spans the European-Asian continents moving from Copenhagen to Venice to Afghanistan and spans from the time of Alexander the Great to now. A despot in Eastern Europe is obsessed with finding Alexander’s body and is attempting to recreate his conquering of the world. Meanwhile a pharmacologist has found a cure for a worldwide virus but isn’t releasing it because he won’t make enough money and is involved in helping and working against the despot. Double and triple agents abound and people keeping each other in the dark. Did I enjoy it? Yes, it was an exciting adventure that spanned centuries and traveled all over the world. Plus it featured a cameo by Painter Crowe from James Rollins’ Sigma Force books. What is with the title of the review? Alexander the Great tried to conquer his world during his lifetime and now another ruler is trying to do the same thing.